I’m a big believer in the Buckley rule. In a primary you go for the most conservative candidate that can be elected. 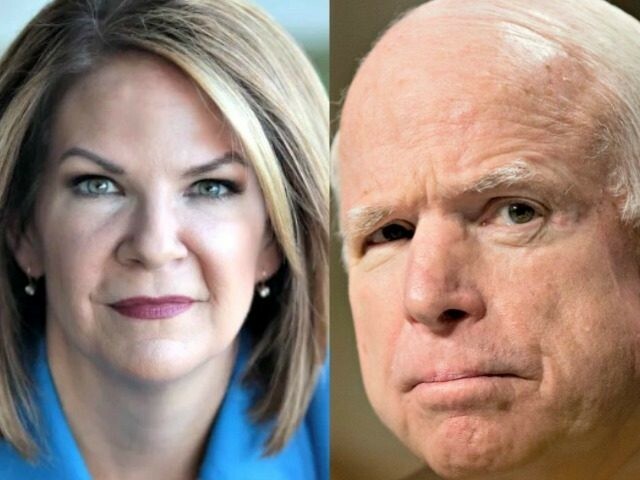 In the John McCain vs. Kelli Ward race, that’s clearly Kelli Ward. It goes without saying that John McCain has deeply disappointed conservatives during his time in the Senate. He’s one of the biggest advocates of illegal immigration in the Senate; he frequently undermines conservatives and he’s been little more than an ineffective rubber stamp for most of Barack Obama’s agenda. If your goal is to convince establishment Republicans that they have to change, there is nothing you could do that would be more effective than voting John McCain out of office. Of course, you can’t beat something with nothing. You need a grassroots conservative who can beat McCain and who has the ability to carry the state. Kelli Ward fits that bill. Polls show her and McCain neck-and-neck right now. Just as importantly, she’s also ahead of Ann Kirkpatrick, the Democrat she’ll be facing if she defeats McCain. Ward would be a huge upgrade over John McCain. She’s proven her chops as a conservative in the Arizona State Senate; she’s worked with grassroots conservatives and she’s tough on illegal immigration. Men like Ted Cruz, Mike Lee and Rand Paul need back-up in the Senate and John McCain has been part of the problem in D.C. for 35 years. That’s why Right Wing News is endorsing Kelli Ward. It’s because we need a senator in Arizona who’s part of the solution, not part of the problem.